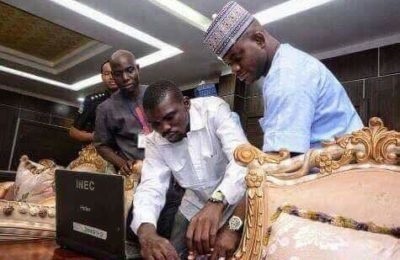 Kogi State Governor Yahaya Bello. “The allegation of double registration has not been swept under the carpet; we cannot prosecute Bello now because he enjoys immunity as a sitting governor." If Governor Bello Yahaya of Kogi State has 99 problems, an alleged double registration is definitely one them. The Independent National Electoral Commission is hell bent on prosecuting the governor. INEC had, on February 26, issued a temporary voter card to the governor after applying for the transfer of his permanent card from Abuja to Okene. The electoral body, through one of its National Electoral Commissioners, Emmanuel Shoyebi, said that the registration, which was done outside the designated registration centre, also amounted to double registration which is a criminal offence.